Our Take on the Results! Big Results – Lessons Learned? It's Amelia 2018 and some serious Porsche hardware was on offer. But it was lukewarm in Florida. For several reasons not all related to the cars themselves. First off the weather. Most impactful was that RM moved its auction up to Friday afternoon due to weather concerns related to the concours event. This certainly threw things off for them. And in general northern East Coast weather may have kept some from traveling. Generally many felt that attendance was moderate, maybe even thin compared to previous Amelia attendances. Buyer enthusiasm in general was also felt to be off. Maybe buyers are saturated. So many cars traded in 2015/16 and many buckets are full. So buyer fatigue may be at play. Finally, with that in mind, auction houses just may be trying to sell too many cars at too many auctions for the market to absorb. Especially RM who seems to need to hold an auction every few months somewhere in the world – perhaps in an attempt to crowd out their competitors. But this probably just serves to increase overall saturation and fatigue. This will likely self correct when attendances fall and/or no sale percentages increase sufficiently. We asked if Amelia was the new forum for Porsches, surpassing Pebble? There is no clear answer to that from the Amelia auctions. Seems we'll have to wait for Pebble (and RM's announced special Rennsport Reunion auction) to find out. 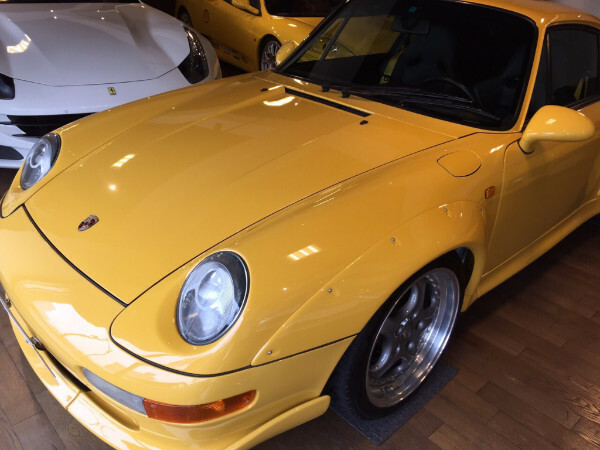 Lot 183 – 1996 993 GT2 Strassenversion – Speed Yellow/Black/Grey – 41,902 KM – LHD – estimate $1.1 – $1.3m. What we said: A savvy buyer may prefer to negotiate a better deal off line … if reserve is not pulled then No Sale..
Our take: The 993 GT2 never hit our shores when new, maybe that affects this model's general appeal in North America v. the ROW. 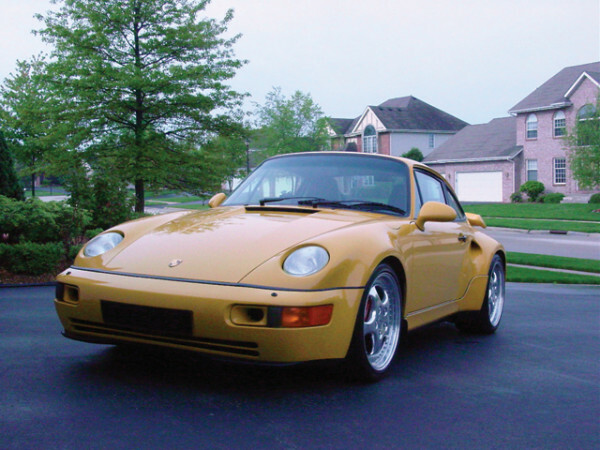 Or maybe driving up to the local cars and coffee in a 993 GT2 doesn't have the cache it used to … changing demographics? This example has now been unsuccessful on two public sale attempts. It's a relatively high KM, driven, Japan sourced car. Selling it will require something lower than last price. Lot 195 – 1995 993 RS 3.8 – Grand Prix White/Black/Grey – 28,973 KM – LHD – estimate $350k – $450k. What we said: At low estimate, for a dollar buyer, this car might make sense … EU buyers will not want to pay commission plus VAT for an average example..
Hammer price: $330k ($368k all in). Our take: The 993 RS in some way parallels the 993 GT2, a model we never got so maybe it's not as appreciated as in the ROW. But also it was built in a relatively large number. With the usual 993 RS and Japan sourced caveats considered, this car sold where it should have for a U.S. buyer who can now claim ownership of a bona fide RS. It could not have been bought and imported for very much, if any, less if sourced from Europe. 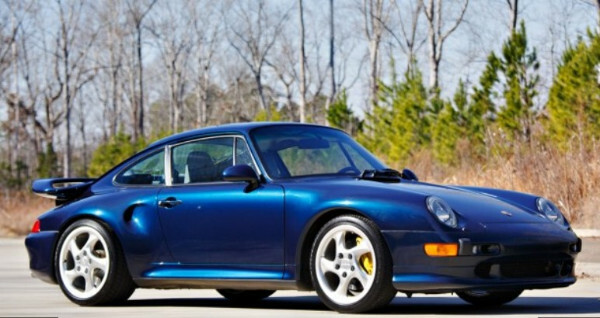 Lot 008 – 1997 993 Turbo S – 22,000 M – Ocean Blue Metallic/Black – estimate $300k – $375k. What we said: This car will hammer around low estimate which would cover the cost of returning it to its original state while still being in it right..
Hammer price: $290k ($319k all in). Our take: This car sold right. We would return it to original and increase its long term value commensurately. Lot 013 – 2011 997 GT2 RS – 800 M – Black/Black – estimate $500k – $600k. What we said: Low estimate or maybe even No Sale unless reserve is pulled. View this car's build spec here..
Hammer price: $490k ($539k all in). 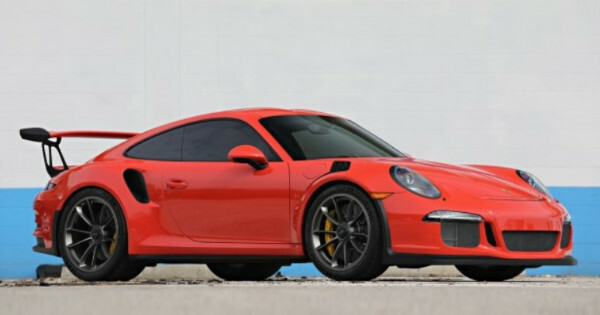 Our take: Price was right for a 997 GT2 RS with 800 miles. As it's a limitation numbered model the buyer should see this car appreciate over time – particularly as the new 991 GT2 RS wont be so limited and a PDK only. Lot 044 – 2015 918 Spyder Base – 2,500 M (many driven by Hurley Haywood which may not exactly be what you want) – Liquid Metal Silver/CTS Red Leather – estimate $1.4m – $1.7m. 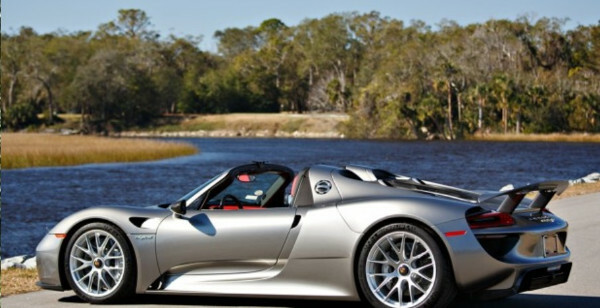 What we said: The 918 is probably the trickiest model to forecast right now but we think this one could hammer at around $1.5m. View this car's build spec here..
Hammer price: $1.4m ($1.54m all in). Our take: This one was a little tricky as it has a very high MSRP for a Base model – higher than the average Weissach. We thought it would go a little higher than it did as a result. Maybe the fact that 'Hurley Haywood' put many of its 2,500 miles on it was not the selling point that the consignor thought … hmmm? We will see a lot more 918's come to market in 2018. Lot 053 – 1992 Turbo S Leichtbau (TSL) – 95 KM – Midnight Blue/Oxblood Red – LHD – estimate $1.6m – $2.0m. What we said: This is one of only four specified like this, and the best of the four in our opinion, we can see this car going for $1.7m … but then again it might be the first $2m TSL! Either way it should set the new bar. Hammer price: $1.6m ($1.76m all in). Our take: Our prediction was above the low estimate … but the car fell short of that. Sure the TSL is not a homologation car with a parallel race history – but it is a limited production air cooled. The interior, wheels and calipers on this example are not for everyone – but it only has 95 km and is ready made for a museum collection. You can't really drive it … but the buyer got something really special. We can't see another TSL selling for as much so, while the new bar is set for the TSL (in dollars anyway), $2m is not that bar … for now. Lot 054 – 1996 993 3.8 RS – 12,900 KM – Riviera Blue/Black/Grey – LHD – estimate $600k – $700k. What we said: It could stretch up to low estimate for a euro buyer, but more probably it's a No Sale unless the reserve is lifted. Hammer price: $650k ($715k all in). Our take: This one was all about the color. Any other color would not have been able to achieve this number. It had healthy interest. 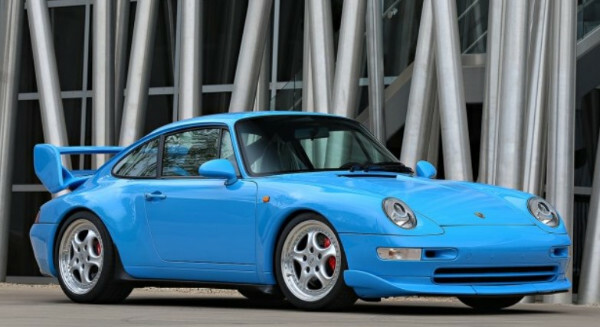 Really can't see another 993 RS going at this number any time soon – unless its Seinfeld's Riviera Blue! 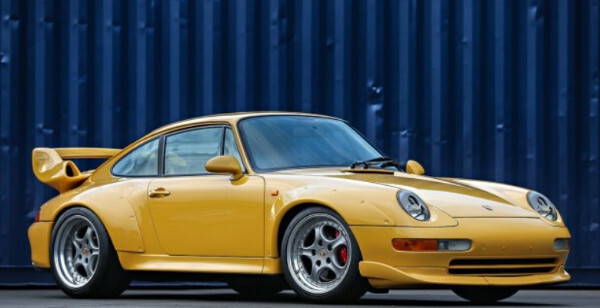 Lot 055 – 1996 993 GT2 Strassenversion – 9,700 KM – Speed Yellow/Black/Yellow – LHD – estimate $1.5m – $1.8m. What we said: We think $1.5m is possible for this car as that would put the car at €1.2m a price which should be attractive to euro buyers. Hammer price: $1.35m ($1.485m all in). Our take: Amelia 2018 and the results at RM’s NY Icons 2017 (a 11,470 KM Grand Prix White 993 GT2 Strassenversion was a no sale with low estimate at $1.1m) have adjusted our thinking on the market's perception of the value of the 993 GT2. An iconic car for sure … but not at what seller's think they are worth. This result will probably dry up the supply for awhile as owners hold out for a better future. Non dollar buyer did well. Lot 073 – 1987 959 Komfort – 7,400 KM – Guards Red/Burgundy – LHD – estimate $900k – 1.2m NO RESERVE. 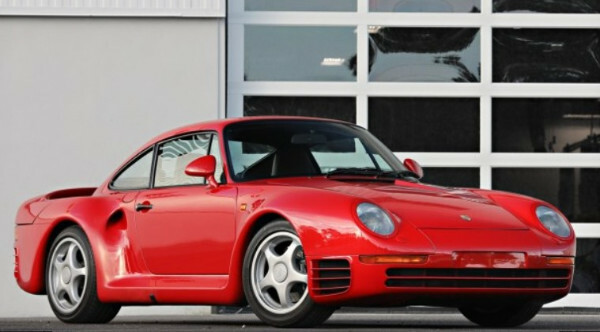 What we said: A 959 Komfort is a $1m car under 10k miles. This car should reinforce that point and – even with no reserve which would indicate a possible bargain in the making – clear the low estimate hurdle. Hammer price: $1m ($1.1m all in). 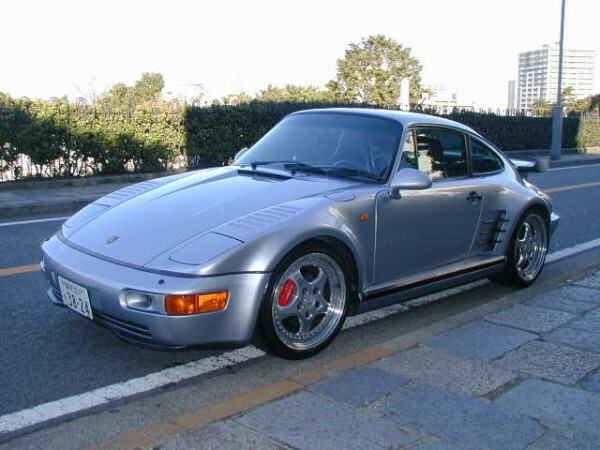 Our take: More reinforcement that the 959 is an iconic supercar that has reached a valuation floor for low KM examples. 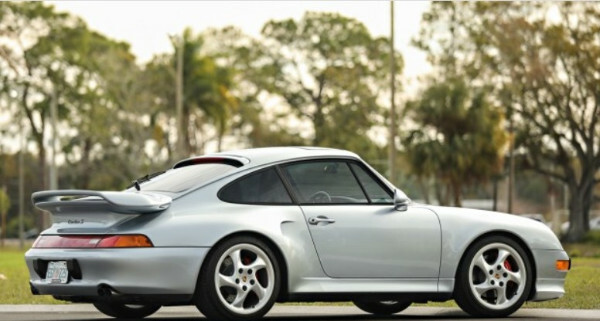 Lot 076 – 1997 993 Turbo S – 15,000 M – Polar Silver Metallic/Black – estimate $325k – $375k. What we said: With no reserve someone can get a bargain at a $275k hammer. Hammer price: $300k ($330k all in). Our take: With no reserve we thought this car would hammer a little lower. Estimate was never in the cards. Seller did well even though they probably don't think so. 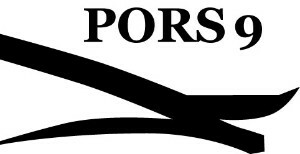 The PORS9 Email List – Don't Forget … Subscribe Now! Lot 078 – 2016 991 GT3RS – 170 Miles – Lava Orange/Black/Lava Orange – estimate $175k – $250k NO RESERVE. What we said: Low estimate or lower. Hammer price: $177.5k ($195k all in). Our take: Just about the market … maybe a little over all in. Have no idea where the auctioneer's high estimate came from. 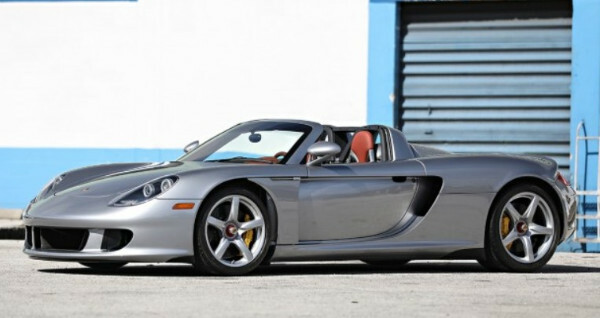 Lot 081 – 2005 Carrera GT – 109 Miles – GT Silver Metallic/Terra Cotta – estimate $800k – $1m NO RESERVE. What we said: With no reserve we can see this car hammering for as much as $775k. View this car's build spec here. Hammer price: $835k ($918.5k all in). Our take: Well we split the difference with the auction house's low estimate on this one. In truth this was good money for the seller. But at 10% commission on a car that seems good for both parties at $835k in the private market it feels more like the auction house was the winner here. Seller may have the thought they could have done better. Lot 138 – 2011 Speedster – Carrara White – 1,500 M – estimate $250k – $300k NO RESERVE. What we said: No reserve bargain hunters will be looking for a $225k hammer. See this vehicle's details at this link. Hammer price: $255k ($285.5k all in). Our take: This was good money for this car with no reserve. Seller did well to get it. 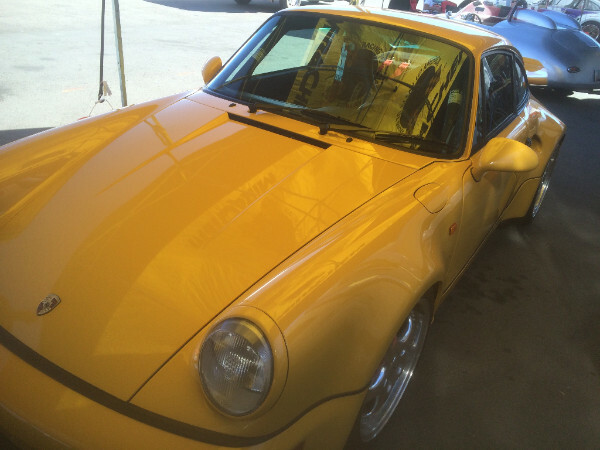 Lot 167 – 1993 964 3.8 RS – Speed Yellow/Black/Grey – 6,826 KM – LHD – estimate $1.25m – $1.5m. What we said: Low estimate at $1.1m would have been a better starting point to get it to a $1.35m hammer. Hammer price: $1.5m ($1.655m all in). 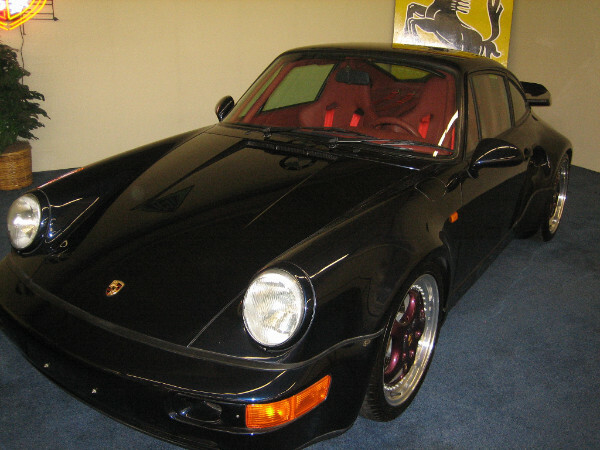 Our take: A 964 3.8 RS does not come to market very often so it's hard to know where the market really is. We knew the lack of supply would push this one to a record price … but apparently more so than we thought. Hitting high estimate was a good showing for the seller. Will be interesting to see if this pricing brings more of these out of hiding. Lot 168 – 1994 3.6 Turbo S Flachbau X85 – Speed Yellow/Black – 28,874 miles – estimate $600k – $800k. What we said: Given that the Grand Prix White X84 that had some poorly done accident repair hammered at $650k at Pebble 2017 this 1 of 1 color X85, but otherwise standard spec example, could hammer at $750k. Hammer price: $590k ($654k all in). Our take: Seems we flat out missed on this 'flatnose'. We knew this car well and thought it would do better as the only Speed Yellow X85 built. Makes you wonder why someone would pay $715k (all in) for the poorly treated Grand Prix White X84 that had been around the world before hammering at Pebble as bringing it up to par would put you in it way over market. This one did have some history and a nothing special spec other than its color, but we still thought it could really do something much better here. Lot 170 – 1992 Turbo S Leichtbau (TSL) – Speed Yellow/Black/Grey – 36,142 KM – LHD – estimate $1m – $1.2m. What we said: If the appetite is there the car could hammer at high estimate, but its KM, a 19% VAT penalty for EU buyer plus 10% auction commission will probably prevent that. Hammer price: No Sale $860k last price. Our take: Notwithstanding our pessimism about EU buyers showing up for this car, it was way off our expectation. We can reiterate the issues regarding the TSL as a model of possibly narrow interest, but even with all that this outcome is puzzling. There was a time when even finding a TSL was a near impossibility. They started coming out once the market started to rise. But even early on in the price cycle of 2014 – 2016 a nice repaint with KM's was €500k. Then they all went up along with everything else. We assume a post auction negotiation got this one sold – at the last price this would be a bargain. Join the Email List – Don’t Miss our Market Updates! Lot 172 – 1994 964 Turbo S Flachbau X83 – Polar Silver/ Black (they all are) – 74,532 KM – LHD (they all are) – estimate $500k – $650k. What we said: Either the reserve comes off or this is a No Sale. Hammer price: No Sale $420k last price. Our take: These are cool cars … for some. Imagine driving up in this conversation starter at your local cars and coffee! But they have not done well at auction and a surprising number (given that only ten were built) have found their way there lately. But rarity alone doesn't seem to be holding the day for the super rare X83 Flachbau. Looking back X83 #311 was being offered out of the EU in 2016 for a whopping €1m and it was sold – whomever bought that car, if at anywhere near that price, would seem down 50+% in dollar terms given this result. The owner might have considered selling this one and moving on given the recent price performance of the X83. 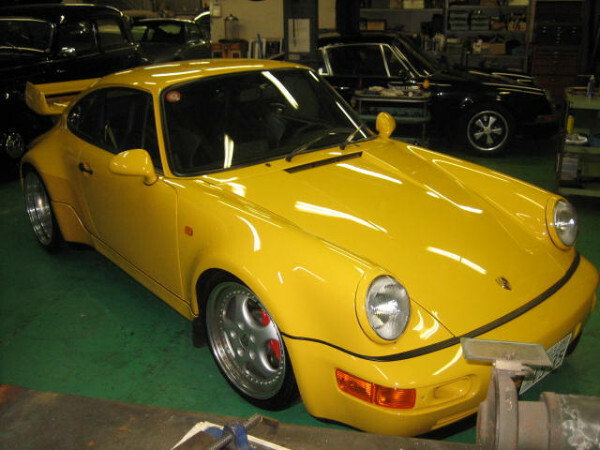 Lot 176 – 1993 964 3.8 RSR – PTS Ferrari Yellow/ Black – 765 KM – LHD – estimate $1.2- $1.4m. What we said: If the hammer goes down at anything below high estimate a bargain was had as this is a true collectible. Hammer price: $1.15m ($1.27m all in). Our take: Hopefully the new owner overly appreciates what they just bought – and at below low estimate to boot! It's really hard to explain how unusual, rare and collectible the 964 3.8 RSR, and particularly this example (the only PTS example built), is. Most of these were raced and only a few were fitted as street cars. One of those, the Polar Silver Michael Mak 10km example (yes 10km), sold for €2,016,000 all in at Villa Irba 2017! If you are ever privileged to hear one running it is an amazing music. Not streetable in the U.S. but it is elsewhere. Well done by the buyer!